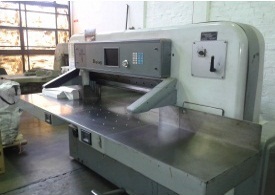 Conquest Paper Cape Town has a Strachan and Henshaw Sheeting Machine. 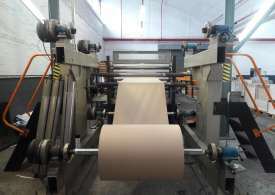 The machine has the capability of converting paper and board from 48.8gsm Newsprint to 500gsm Board. We offer a trade sheeting service for printers as well as paper merchants. Accurate sheeting, minimum waste and secure pallet packing of the sheeted product is the trademark of our operation. Guillotines are expensive tools. Have your blade re-ground and sharpened for best results always! 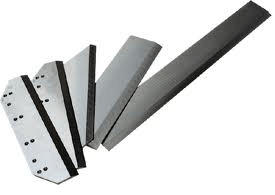 We sharpen all guillotine blades at our Bloemfontein premises within a short turnaround time. Badly chipped blades are sent to Johannesburg for sharpening.